The Japanese UMD Passport service that allows PSP users to download versions of their physical UMD games to the PlayStation Vita won't be available in the US. Sony has confirmed that the service, for which it charges Japanese users a small fee will not be accompanying the PlayStation Vita's 22 February launch. The company hasn't offered an explanation for the decision, although the effectiveness of the service in Japan is hampered by the lack of support by games publishers. At its launch, big names like Capcom, Konami, Namco and Square Enix were all notably missing from the lineup. There is no word on what will happen in the UK and Europe, though with the news that the UMD Passport isn't going to the US, we suspect that it won't make it out of Japan at all. The news means that PSP owners with huge UMD collections will have to keep hold of their old console to play old favourites. The decision rewards those who have opted to buy game downloads instead of physical media (where possible) as those downloads will be playable on the PS Vita. This news follows Sony's announcement that PlayStation Network accounts will be killed off to be rebranded as Sony Entertainment Network. 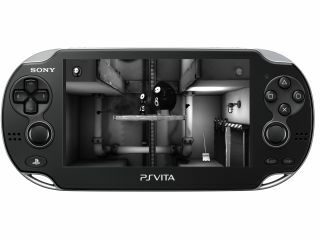 For more on Sony's new handheld, get eyes-on with Tech Radar's full PS Vita review.